Parking is located beneath the CITY CREEK CENTER, 1st Hour FREE! We are located at City Creek Mall, an upscale open-air shopping center. Parking is underground with the best access to Brio from the 100 South entrance. We are located one block from The Salt Palace Convention Center & the LDS Temple. We offer Happy Hour Monday through Friday 3:30pm to 6:30pm & $5.00 Martini’s All Day every day. We also have several private dining areas to accommodate 20-120 guests. Very good service, food, prices were decent, nice ambiance. We had an Easter Sunday lunch at the BRIO to round off the day and it was an excellent choice. 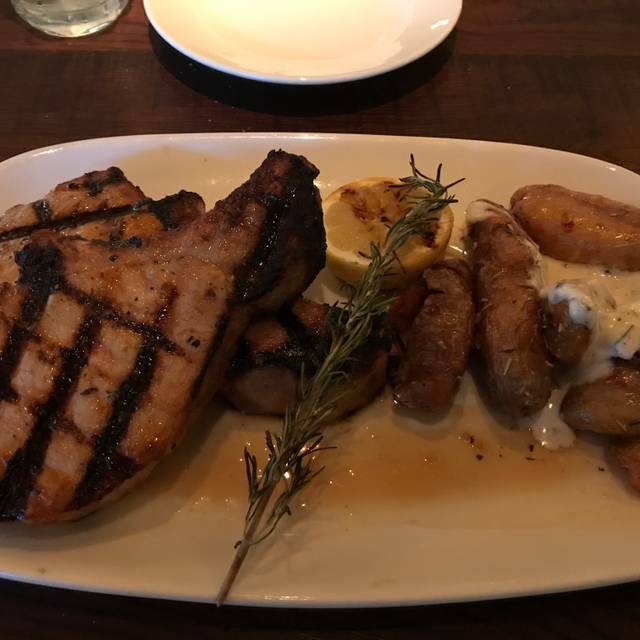 We were greeted courteously and brought to our table, having made a reservation 5 days prior. Our drinks were served quickly and we were given ample time to look through the menu. We shared the fried calamari, which were light and not too greasy. Our son's salomon was fresh and cooked medium, which was perfect for his taste but for adults perhaps a tad too well. My wife's fettucine with shrimp was al dente and the number of and size of shrimp was better than expected. My lasagne was truly excellent in taste, but resembled more 2 giant raviolies than a typical multi-layered version. Excellent balance of spices, cheeses and meat. With 2 rounds of drinks and the gratuity, we paid 125 dollars. For the date and location, this is competely in line with the food quality and service. We'll be back! Whether Brio hits the spot for you depends on what you are looking for. It is a fine mid price not too exciting Italian restaurant. Safe for a prom party (there were lots of prom goers there) or dinner before a Jazz game. Nothing innovative. For example, the chopped salad had canned black olives instead of Kalamata olives. The wine was ok but not great. Overall, maybe you get what you pay for? Great location if you are in City Creek. But the food is pretty middle of the road. As always the food was great. It was a busy night and service was slow at being attentive. The server was cordial but noticeably not engaging. There was never a smile. Kind of doing the bare minimum. It definitely was not what it has been in the past. Good food, and good service. Location great for the downtown cultural events. We were disappointed with the food and the service. Did not even ask for a box in which to put our leftovers. It was our first time, but there will not be a second time. I had a shrimp pasta dish that was disappointing. The pasta was under cooked and hard. The shrimp was dry and the overall flavor was bland. The service was fine and professional but the food wasn't good. I have eaten there previously and the food was much better. The service was great, the food tasted great, however the servings were a bit on the smaller side. The filet was melt in your mouth wonderful, but very pricey. Food and service was outstanding. This was the second time we have enjoyed dining there. I look forward to the next visit. This was our first visit we had such a great time we will be returning. Service was great and the food was fantastic. I love Brio...fresh fish, great atmosphere at a decent price. 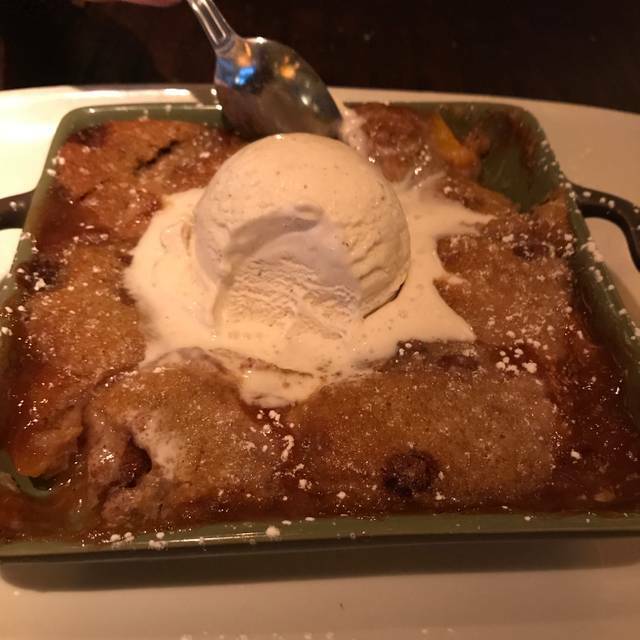 Perhaps we did not order the correct things, but found the food disappointing - especially when compared to other Italian restaurants in town whose dishes are much superior. Our meal was good and we’d go back but it wasn’t over the top. We had beef medallions, lemon salmon, crab cakes and the fish of the day was halibut. We all liked what we had. Some of my sweet potatoes in the veggie mixed were hard, not cooked evenly. The seasoning was great however. Quite expensive for food that wasn't good. Waiter didn't do a whole lot. Good food, mediocre service, nice ambiance. Overall, good experience and would go again, but not a mind blowing experience that's for sure. Great place, good food, good service. Enjoyed a wonderful lunch. My favorite restaurant in City Creek! I was in Salt Lake City, UT for business and planned a visit to this restaurant based solely on the evaluations listed on OpenTable. 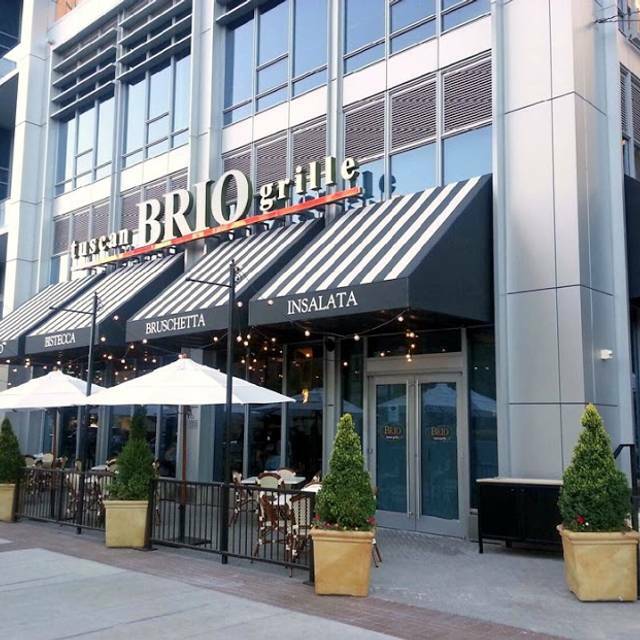 The BRIO Tuscan Grille is centrally located within the center of downtown Salt Lake City, near tourist locations and shopping mall shops. The restaurant is modern designed and has high ceilings and glass surrounding 90 percent of the location. Your view is of downtown Salt Lake City. I ordered the Wedge Salad and Shrimp & Lobster pasta dish, both tasted very nice and were decent sized portions. Service is quick and efficient, I had no issues with the food or service, so I would recommend this restaurant for family gatherings, business meals. Our server was exceptional! Thank you for a lovely time. Had beef medallions, they came looking like they had been under a heat lamp quite a while...decent, but not memorable. My husband had a salad and chicken soup..Soup was excellent, but salad was mediocre. Had a reservation for 5pm. To beat the dinner rush and be able to take our time before a show across the street at the Eccles. Everything was fine but we felt like we were being rushed out and the waiter even had a bit of slip by asking if we “saved room for the check. Oops I mean desert”. Food was fine, ambience is perfect for date night but we chose an earlier time so we could sit and relax but it felt like all eyes were on an “early table” to eat and get out. Dinner was done in 40 mins. We eat at Brio restaurants in many cities and this one was not up to the standard. Front hostess manager was not welcoming even though we had reservation. Waited 10 minutes for server to come. Food was ok but not hot - lukewarm. Seems prices are higher and quality of food and service were lower. I made a reservation for a party of 8 but only 5 were able to make it and our hostess was very accommodating and adjusted the table size. We were seated within 5 minutes. Our waiter quickly brought waters and came around for a drink orders. The bread was really tasty and the food came out promptly. I would definitely recommend the spinach and artichoke dip as a starter and the Pasta Alla Vodka for the main course. We also had the lasagna. It didn’t have as many layers of noodles as I think lasagna should have, but the red sauce was really tasty. I would recommend another dish that uses the red sauce. It felt like it took a really long time for the drinks to come out but they were very good about refilling the waters and bringing more bread. Overall, it was great! It got fairly loud toward the dinner rush - louder than I expected, but we could still converse. While I have visited this location of Brio several times over the years I was very disappointed with the food this time. I ordered roasted chicken, the plate came out so hot I could not touch it so that tells me it sat under a heat lamp for some time. The skin of the chicken was so hard I could not cut it, I had to pull it apart. The inside was very dry with little taste. Also, the server forgot that I had ordered lobster bisque so it ended up in a to go container. Extremely disappointed. The ambience of Brio is wonderful. The food was excellent. The bartender made a fantastic Old Fashion cocktail. The service was great, but server was a bit shy and forgot to return my Brio Rewards Card. He was extremely cordial, however. 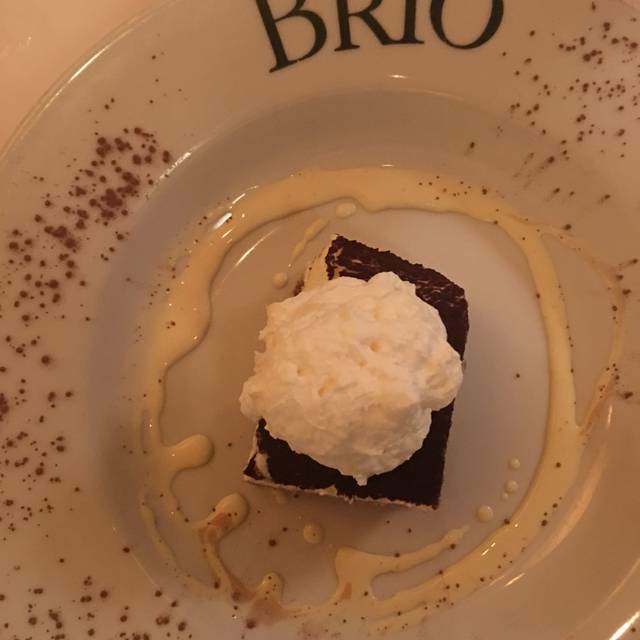 We have be to Brio before about a year ago and loved it. This time the bruschetta sampler wasn’t available and that was a factor in choosing the restaurant. Our flatbread was burned, flavorless and more like a cracker. Half of our party enjoyed their meals. I got the chicken Marsala and it was bland and just not great. Disappointed in this experience. We went to dinner before going to see Wicked at the Eccles Theatre. 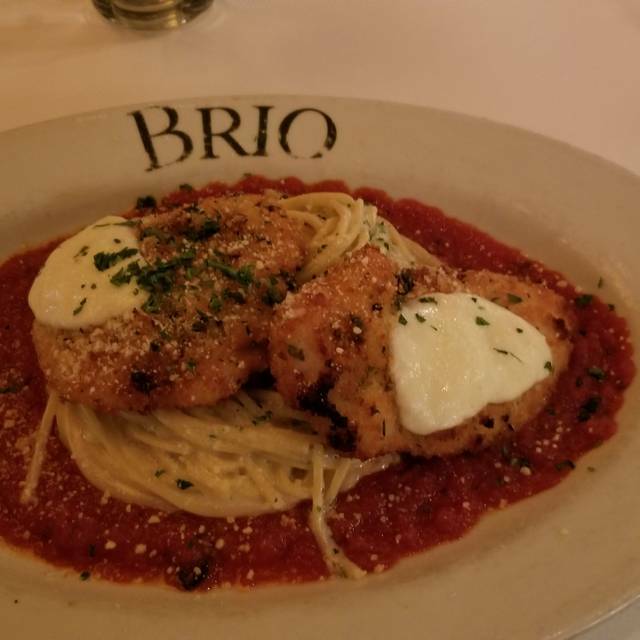 We go to Brio quite often before going to the theatre. The food was absolutely delicious! We had a reservation for 6:15, and got in right away. 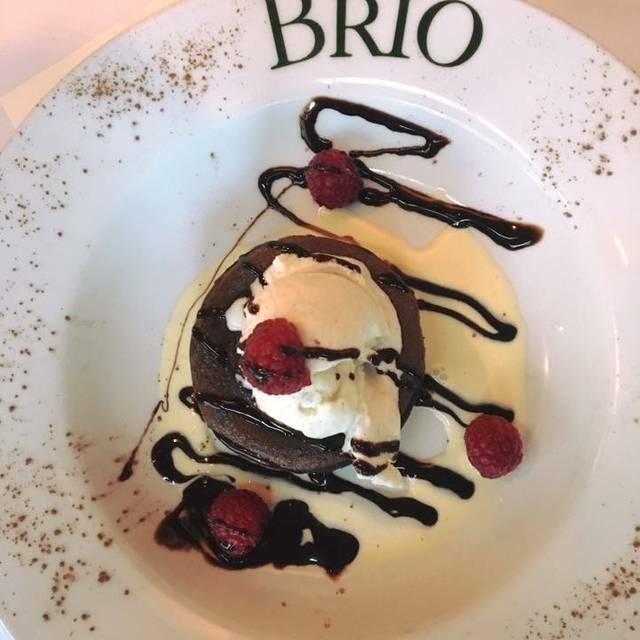 We would recommend Brio highly!! After Eccles Theatre performance of Wicked four good friends got together for a great meal at Brio. 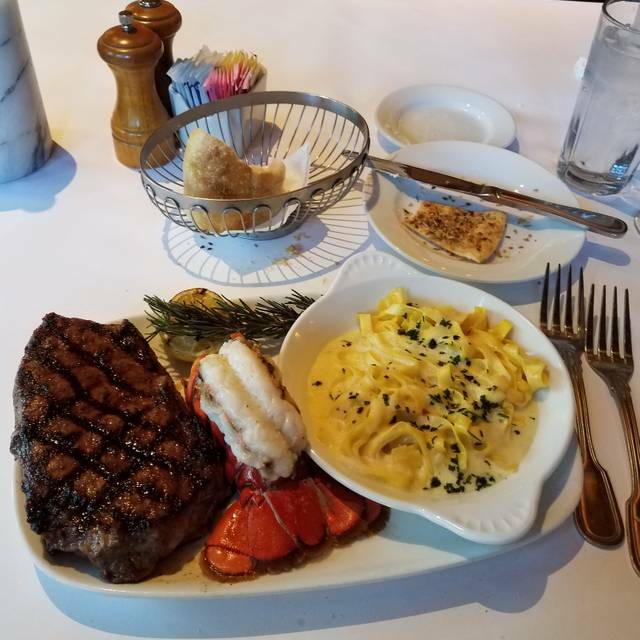 We hosted two different business meals at Brio and both experiences were stellar. We made reservations ahead of time and were immediately seated upon arrival. The food was timely and excellent. Our server took care of the extra requests made by our guests. Brio made us look good. Thanks!